The new Needham S-Series range of printers now offer unbelievable print quality in a fully featured compact printer. The S-1000 is a modular inkjet system allows you to connect up to four independent 17mm high print heads to be integrated with one controller to suit your application. The system can be provided with the print head in the casing, with it mounted remotely or a combination of both. The control box can be mounted up to 10 meters from the print heads. The S-Series has been designed with minimal components to give maximum reliability. No pumps, no valves, no compressed air and the use of just a single PCB means low maintenance. Printing with micro ink droplets and a sealed ink cartridge gives low cost per print with no ink wastage. Additional cost savings can be obtained using the economy-print type font. The S-Series have the option to select from three different levels of message programming and editing, from very easy and basic to multifunctional programming. Controller has all the operational and editing features of a 6000Plus. Can be sited up to 10 meters from the individual S-1000 print heads. Ideal use when controller access needs to be outside machine guards. Ideal when print heads are in inaccessible position. 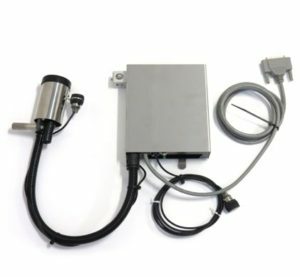 Photocell input for product detect and motorised shutter can be connected to either controller or any S-1000 Printer. For use with oil or solvent based ink. 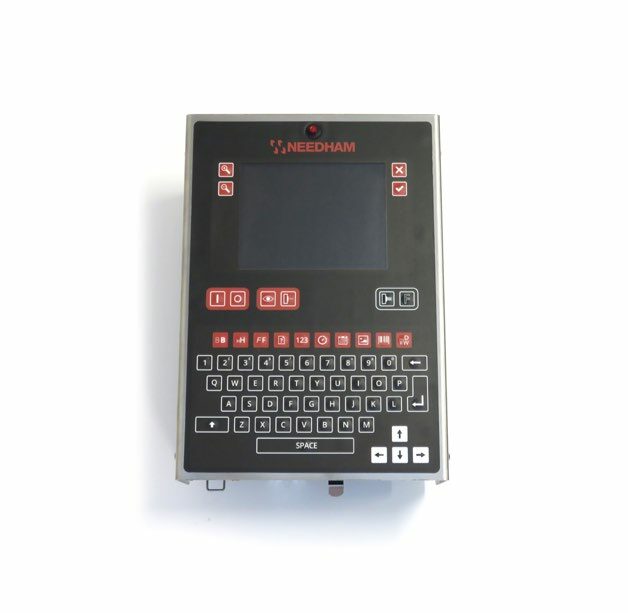 Allows remote manual or motorized print head & ink supply to be located separately. 10M Max print head to controller. There are three different designs of S-1000 print heads and each can print up to 17mm of print height with up to 8 text lines, bar codes, graphics and 2D data matrix codes. Different inks enable printing onto non-porous materials (plastic, glass, metal) or porous surfaces (cardboard, wood, gypsum). The various S-1000 print heads are small and each contains its own ink cartridge. They can be mounted in highly inaccessible positions or inside safety cages if necessary, yet still have the S-1000 controller placed close to the operator. Up to four S-1000 printers can be mounted across a web to print identical or different messages. 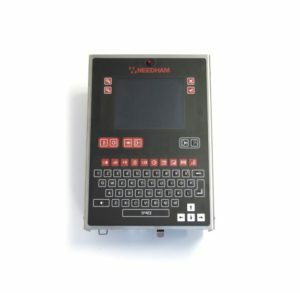 The S-1000 controller mounted remotely can be connected to an encoder or any type of device for print activation. 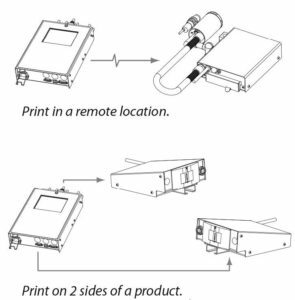 Whether you are printing two sides of a box or both sides of a larger product, having a single controller simplifies the calling up of messages by the operator. A large color graphic screen and WYSIWYG display combined with pictorial action keys makes message editing and programming really easy. The same proven technology from the successful S-6000Plus printers is used in the S-1000 printers to give a very high resolution print quality. 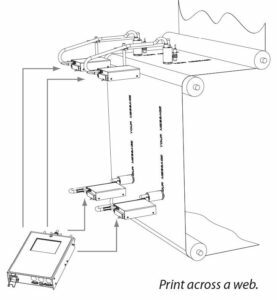 An S-1000 print system can either be programmed at the controller or networked to a PC or factory network for full integration. A replaceable ink cartridge in each print head maintains a clean and efficient ink system free from contamination.